If you work in or manage a factory or plant, you are well familiar with the difficulty of operating a valve manually. Trying to open a valve without a tool requires a lot of elbow grease, determination, and worst of all – time. If you’re the manager or owner, you may be looking at your labor hours along with how frequently valves are required to be open, and it may be time to make a change. A Power Wrench portable valve actuator can help make the daily operation of your plant or factory a little more seamless, as it has more than a handful of benefits. Safety first in the workplace. Opening a valve by hand (depending on the valve) can lead to strains, cuts, and even burns. A portable valve actuator puts some space between the valve and your hand, rendering it completely safe to use. It’s also easy to handle and attach, making for an effortless operation. Power Wrench portable valve actuators are air driven. This allows you to connect it to a stand-alone compressor, or even a plant network compressor. This air-driven technology also affects the speed and torque, which is regulated by the air filter lubricator. This also provides you more safety features–if the throttle is released for any reason, the tool stops on a dime. Using a portable valve actuator simply allows you to open up a valve more quickly, which saves you hours of manual labor. Even the largest of valves can be opened in 10 minutes or less–much less than the 30-plus minutes it takes to open a valve by hand. Consistently opening a valve by hand can put a lot of strain on your employees’ backs, leaving them in pain. An actuator allows them to stand up straighter while the tool does all of the tough work. Instead of needing to buy multiple operations tools, use an actuator to open all valves across the board. This handy tool opens small and extremely large valves, including valves with rising spindles. The Power Wrench portable valve actuator can help in the everyday running of your business, factory, or plant. Specialty Maintenance Tools is just a distributor–we will help educate you in the operation and best practices of your new tool. 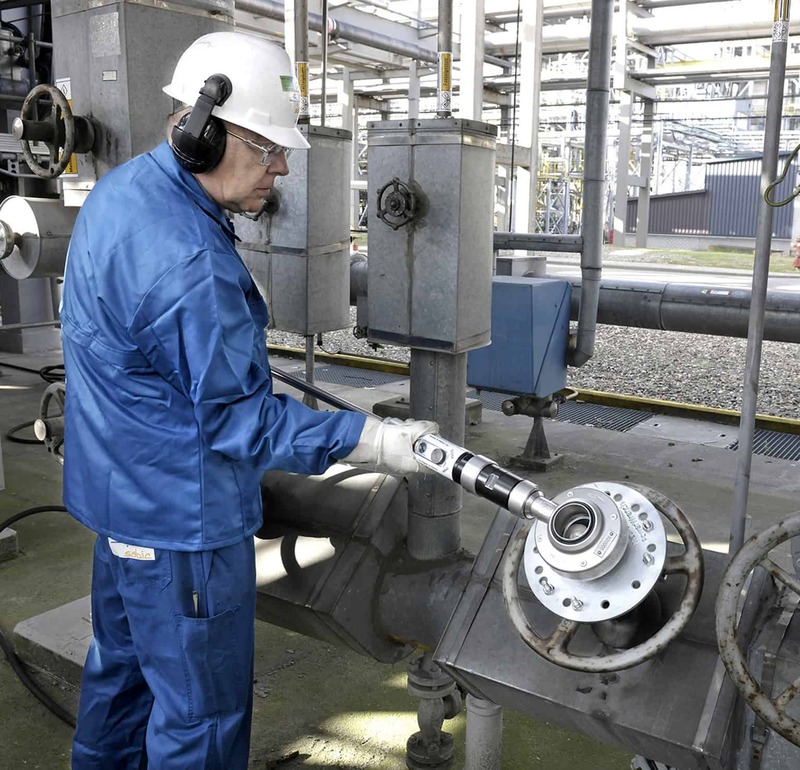 Contact Specialty Maintenance Tools today to help streamline your valve operations.